The North Rose - Wolcott Freemasons invite all who have served in the military, law enforcement, fire service, or other emergency response function to gather at the Wolcott Masonic Temple this coming Monday, November 21st at 7pm. The Masons will show their gratitude to all who serve, protect, and aid our communities with a recognition ceremony. There will also be a display of "modern military equipment” and a speaker to give a presentation on the display. Refreshments will be served. 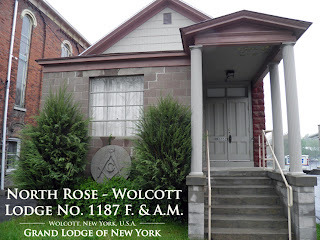 The Masonic Temple is located at 6052 Lake Avenue, Wolcott, New York. This event is free and open to the public. 0 Comments to "Recognition Event for Veterans and First Responders"